Well, hello there! No your eyes are not deceiving you. I'm actually writing a blog post right now. I can't promise you that it will be a normal Monday through Friday occurrence, or that I will ever even take proper blog photos again, but I do miss blogging, so I will do so when my heart desires. 2) The camera quality within the Snapchat app is so much better, I can snap and post real time without having to edit before uploading to IG stories. So, that said, I can't quit Snapchat guys, I'm sorry. 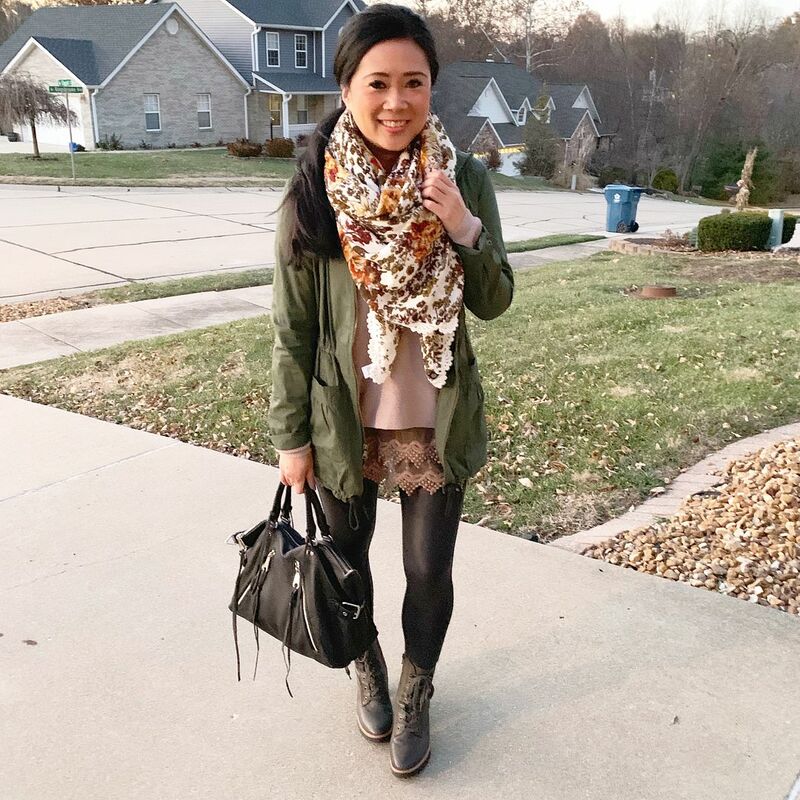 I will, however, try and do a better job at posting my everyday outfits right here on the blog. That may mean (and I KNOW that means) that they will be selfie style and not with a professional camera, but it is what it is. Life has gotten crazy. And really, it's not that I have less time than I did before, but for whatever reason, blogging has simply fallen as a top priority - maybe because I felt like I am not getting a return for the effort I was putting in, or my heart just wasn't in it anymore, or shopping itself just took a backseat so I didn't feel like I was providing relevant and new content in an organic way, or all of the above. I know a lot of it, too, has been associated with my attitude. This year has been a super challenging year for me emotionally and mentally, and that really affects my output of content I provide you guys. Being bubbly and light and airy talking about clothes and outfits and new purchases just felt so contrived. I've been bitchy, and I knew it would reflect in anything I write to you guys. It's funny actually, because I'm usually the fun, upbeat one at work, and if I had a quarter for how many people on the daily tell me, "are you ok?" "you're not the same chipper self" "it's so nice to see you smile again" "cheer up, things will get better..." I could go on and on and on. Clearly I don't do well hiding my feelings, and I didn't want to be negative in this online space for you guys. All that said, for whatever reason, I had an itch to write to you, so here I am. I have so much to catch you up on, and I went through my camera roll of everything that has happened from now since I last wrote here in August, and I had FORTY SEVEN photos to share! Clearly, that's not going to be shared in one single post, so I have to split it up into multiple posts. I thought I would go ahead and kick off this series of catch-up posts with something outfit related since this intro was a post in and of itself! 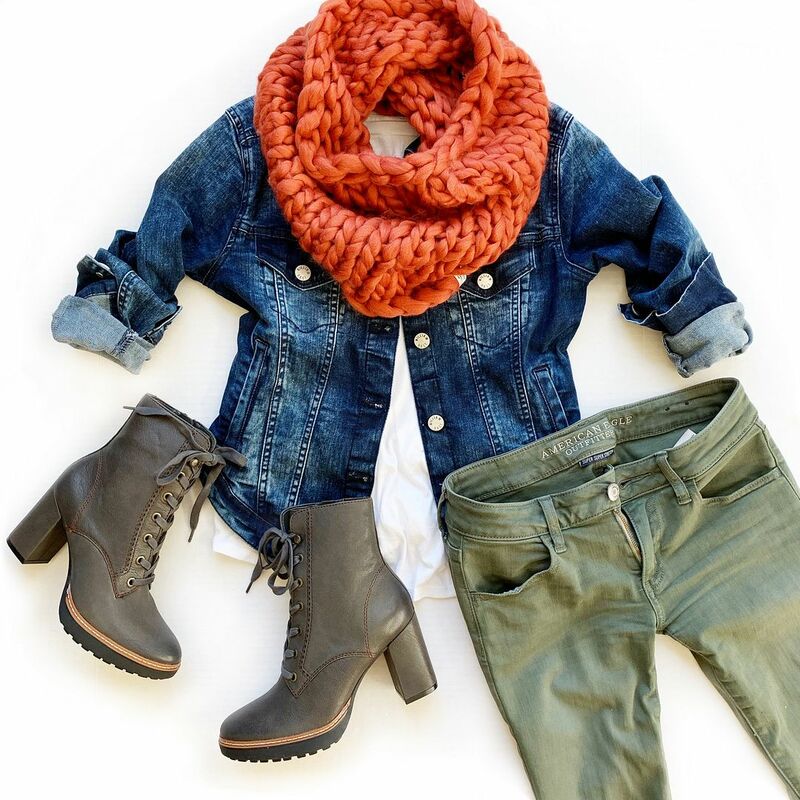 These outfits I'm sharing are styled around my new booties! They popped up in my Facebook feed a couple of months ago and I remember screenshotting them and texting Jenna asking if they were hideous. She agreed that they had a lot of potential, especially since they came in green. I didn't pull the trigger then, but I kept on thinking about them. They finally went on sale, and I snagged them immediately. Woohoo! The reviews said they run just a little narrow, so I went ahead and ordered them a half size up and they feel great. Super comfy and so so so walkable. This is how the outfit looks with my outer layers on. I always get a bit frustrated when bloggers take photos outside with coats on. Yes, I realize that makes sense from a temperature standpoint in the winter, but for the purposes of seeing your actual outfit and what people will see on you indoors, it's kind of dumb. Your jacket is beautiful, but what does your outfit look like?! Anyway, so here it is with my jacket and scarf. I wore this to dinner tonight actually. Annnnnnd I actually did a flat lay, can you believe it? I actually CRAVED doing a flat lay! And it's definitely like riding a bike. I jumped right in and it's like time had never passed. Ha! It did feel good to get these styling juices going again. I wanted to share a second way to style these boots because I can imagine they look a bit intimidating to style at first, but I do believe they will be quite versatile. I see them as a dressier Sorel boot, and people wear Sorels with ALLTHETHINGS! For example, this outfit here - I think would look just as cute, if not even cuter, with this dressier version. I hope I have made a good case for these boots. And I also hope to make up for my hiatus. Like I said - I don't think it will be 5 days a week, or even 3 times a week. I can't promise it will be a regulated schedule. But I do promise to share when I can, especially since 47 photos is a lot to share in one post!!! One thing I do miss the most about blogging is sharing my travel posts. Those posts are great references for me to refer back to, and I always get good feedback about that anyway. So I think I will start there for my next post. Stay tuned! You are so so sweet, girl! I really do appreciate your support! I swear one of these days we will meet in real life!! YAYYYYY! 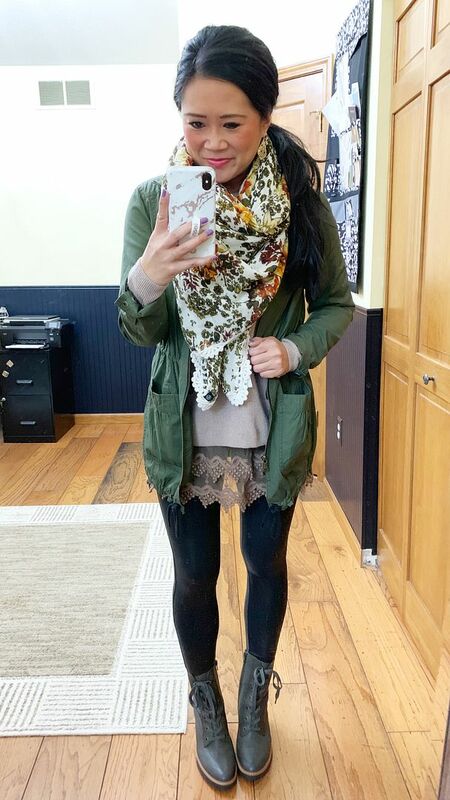 So happy you are back and you know you outfit selfies are my favorite posts. Funny story I just got a pair of booties that look a lot like yours. I asked Gina about them, they add edge to any outfit. Love them! Great minds!! I have been wearing them all weekend! And i'm happy you guys gave me the push. I already have almost a dozen posts drafted! Oh my gosh!! My Bloglovin feed didn't tell me about this post until TODAY!! I'm SO glad you are back! And this post is exactly why I missed you! Share selfies, flat lays...anything that works for you but it's just SO fun to see what you're wearing and buying!